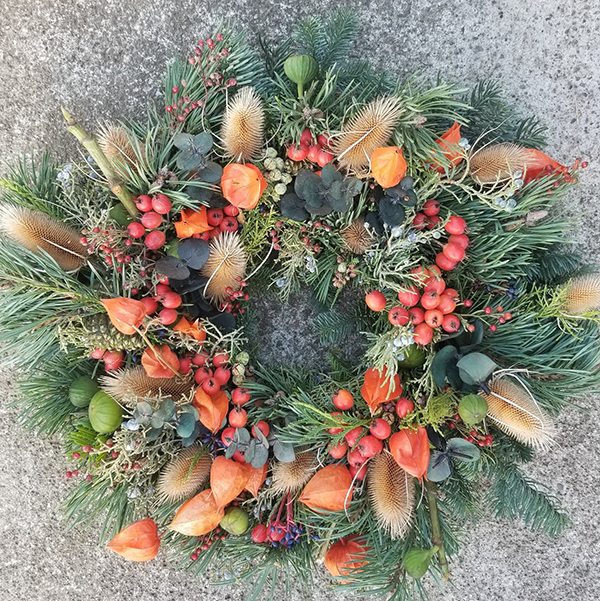 The Perennial Gardener has fresh evergreen wreaths uniquely designed, using located gathered foliage, berries, cones, and twigs. Lasting for months, it is a great way to add color to the darker days of winter. Wreaths, centerpieces, twig baskets, bundles of greens, and holly are available at The Olympia Farmers Market in November and December.